By Tanel, March 5, 2012 in Plugins - Publishing ONLY! Updated version of my original plug-in. Performance (speed) is greatly improved - now using my own blur algorithm instead of built-in one. Added "Shift" control allows to move around the blur area, giving more flexibility over result. Comments, questions, suggestions welcome here. I like your all plugins. I downloaded new plugin pack. And I used. I could not get the same your results. I copy and paste your sample to paint.net. Use the magic wand, select the original. Other than the original is deleted. My test was applied with the same value as your sample. "drawn on transparent background having the same color (RGB)"
To fix the problem, I think you have to use the paint bucket tool set to the same color with 0 transparency and 100% tolerance. Basically, you are setting the "transparent white" background to "transparent [insert color]"
Yes, if you alpha-blur an object placed on empty background then only 'Shift in' is meaningful. Other settings are useful when some color exists in transparent areas. 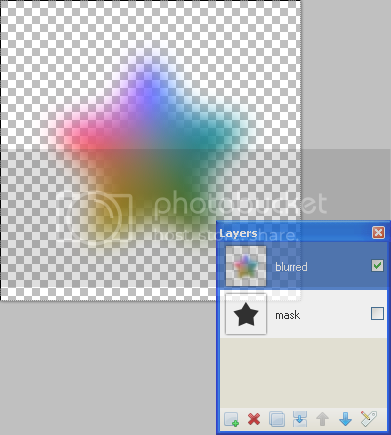 Color information in transparent areas can be preserved by using eraser tool, Curves+ or 'Color to Alpha' plug-in. I was trying to use alpha blur incorrectly previously. Thanks for the update as with these examples I can see how it is supposed to be used more accurately than previously. Especially with how this interacts with transparency and what remaining alpha value may have on the outcome. Thanks for the slider control update as well. That makes for a much different tool in many ways. I understood how to use this plug-in. Are we expecting any update to this plugin (and maybe the whole plugin package) soon? Because Alpha Blur is not working as meant to be in PDN-4, especially the Shift-out part.